Bad hair days leave me feeling low and not as confident. I love having my hair coloured every three months. I love to experiment with my Tresses and try a different look. People always ask me, won’t colouring your hair too much damage it? Well, truth it does, hence using the right products and maintaining it is a must. Choosing the right kind of Shampoo and hair conditioning mask is the key to having the best of hair days. Kérastase Reflection Chroma Captive range for Colour treated hair! The packaging is sturdy and comes in a pretty pink and plum colour bottle, like all its signature packaging. Kérastase Reflection Bain Chroma Captive Colour Radiance Protecting Shampoo is like the name suggests, protection for colour treated hair. As the lid is a bit wider, it’s a bit tough to open at first as it’s a screw cap, rather than a flip cap. The fragrance is not overpowering, but quite fruity. The colour is almost opaque white and is thick but has a nice shine to it due to the some micro shimmering particles. A little squeeze and it goes a long way. When applied to damp hair, it lathers up fairly quickly and instantly you can feel the hair texture stay moist, just as it claims. Even after washing the residue off, I felt my hair feel very supple and smooth. To ensure, best results, I always use a conditioning mask. It is always best to use the products from the same range for added benefit and see quick results – Kérastase Reflection Masque Chroma Captive is an absolute wonder. It gives a high definition gloss and nourishes your hair leaving it soft. The longevity of the hair colour is the added advantage of this product true to its word, it protects against anti-oxidant aggressors and premature colour fading. The best part its UV protection. Well during blow drying, I noticed that my hair was super soft and felt it was easy to style. I didn’t use the straightener, as I felt I didn’t have to. My hair was not tangled like before. The shampoo left my hair feeling fresh and had a healthy shine to it, that to without a conditioner!! It doesn’t dry the ends. Hair felt alive and not weighted down by other chemicals I spray on, as I didn’t feel I had to, after using this shampoo. (Again, this review, is based on six washes). I usually wash every other day, or as soon as it gets greasy, My scalp remained non greasy for over 3 days. Hair has its bounce, and not weighted down. Less styling time and less use of external products. Availability in India is Limited and all products are available for purchase exclusively at authorized Kerastase salons. I would highly recommend this product for those who have coloured hair, and or abused it with colouring and excessive heat. I rate this a 4/5. 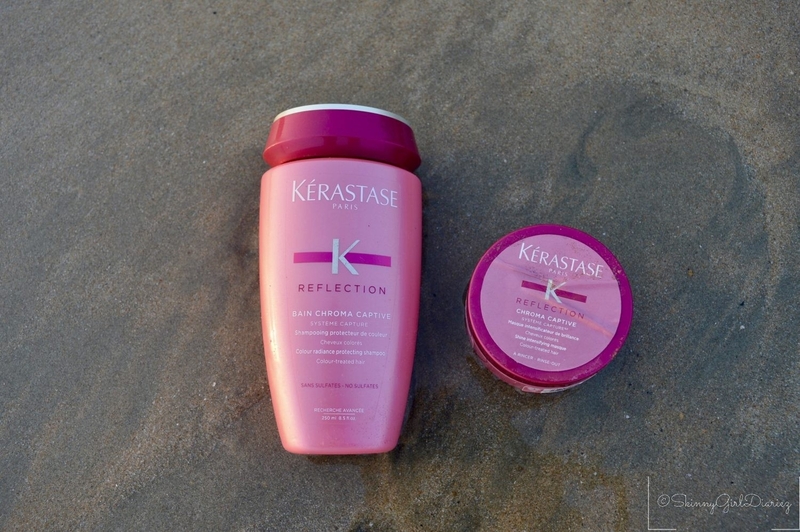 Let me know what you think about the Kerastase Reflection Range! Leave your comments below, would love to hear from you. **Disclaimer: all views expressed are my own. Make use of products which do not harm the hairs. The products available with Matrix India a combination of unique botanical & technology. Thanks for sharing ..will surely try it out.